Molecular diagnostics and technology company Genomic Vision has announced a collaboration with AstraZeneca that will leverage Genomic Vision's FiberVision DNA molecular combing technology to study WEE1 kinase inhibition in cancer. The companies will study the effects of AZ's WEE1 inhibitor on DNA replication progression in cancer cells, and also seek to understand how inducing replication stress impacts the antitumor activity of WEE1 inhibition in cancers with specific genetic backgrounds. Genomic Vision suggests that molecular combing should allow comprehensive characterization of the different replication stress effects induced by WEE1 inhibitors. Wider profiling should then help to identify mechanistic differences between AstraZeneca’s DNA damage response (DDR) inhibitors, with a view to developing personalized medicines. No financial details of the collaboration were disclosed. “Initially used for the development of diagnostic tests, molecular combing indeed offers substantial outlooks to accelerate the selection and optimization process of high-potential therapeutic compounds for the treatment of cancer,” commented Aaron Bensimon, Ph.D., CEO of Genomic Vision. Founded in 2004, Genomic Vision is developing single DNA detection tools for research and in vitro diagnostics, including a portfolio of tests for breast and colorectal cancers. The firm’s platform for direct visualization of individual DNA molecules combines the proprietary molecular combing technology with Genomic Morse Code approach to fluorescently color code target loci to visualize genes of interest. 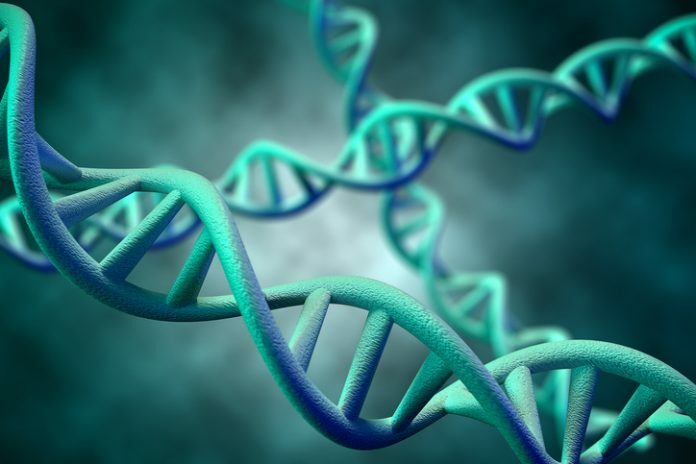 Genomic Vision’s flagship CombHeliX FSHD test, developed in partnership with Quest Diagnostics, has been marketed in the U.S. since 2013 for identifying facioscapulohumeral muscular dystrophy (FSHD). Genomic Vision and Quest have a long-term strategic collaboration through which the latter has exclusive rights to develop, validate, and market molecular combing-based tests in the fields of breast and ovarian cancers, hereditary colon cancer (Lynch syndrome), spinal muscular atrophy, and FSHD in the U.S., India, and Mexico. Quest retains an equity stake in Genomic Vision. Earlier this month Genomic Vision reported positive interim results from a clinical trial carried out in the Czech Republic, which is evaluating a molecular combing-based assay for the early detection of cervical cancer based on oncogenic human papillomavirus (HPV) as a diagnostic biomarker for high-risk precancerous lesions. AstraZeneca's Phase II-stage small-molecule WEE1 inhibitor AZD1775 was in-licensed from Merck in late 2013.